HUNTINGTON, WV (HNN) – Huntington City Council’s finance committee recommended moving the city’s vehicle fleet to Speed Fleet administered by Speedway/Super America. The action will also close the decaying pumps or city vehicles at the city garage, alleviating a potential environmental issue and a $20,000 software upgrade. Under the proposal which now goes to the full council for a vote, city employees and/or vehicles would be issued a fuel card whose usage can be real time tracked by supervisors. 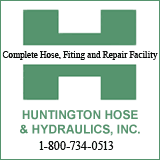 Huntington’s Police Department would appear the greatest benefactor since patrol cruisers would not have to leave their assigned section of town for a trip to the city garage for a fuel re-fill. More importantly, unmarked car drivers would no longer pump unleaded at the garage, which itself is a giveaway for its undercover designation. According to purchasing director Darryl Miller , the city would pay the Oil Price Index (Wholesale Rack Price) with the Superfleet service, which is owned by Marathon Oil (and Speedway/Super America). The price paid by the city would be minus state taxes for which they are exempt. Finance Director Deron Runyon indicated based on August to November 2010 data, the Speedfleet would save the city about thirteen cents per gallon. After inquiries from both councilmen Steve Williams and Jim Insco concerning card security to prevent employee abuse, Speedpass’ Stan Rose stressed the fuel usage in real time feature and that the cards issued to employees also be immediately cancelled. The city’s large Public Works equipment will use diesel pumps at the TTA garage.